How about a real Christmas Tree this year? 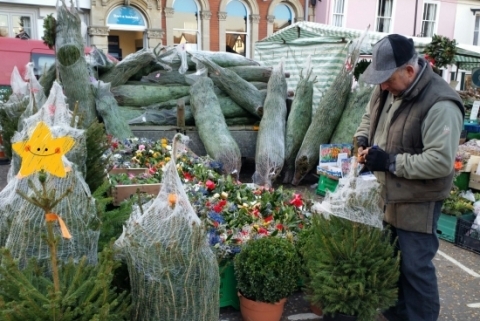 Roger has some lovely Christmas Trees available at his Nursery, or on Framlingham Market Tuesdays and Saturdays. They’re selling fast, so reserve yours now! Roger also has a good selection of handmade Christmas Wreaths made by his very hands!